A new format elevates amateur talent. Every esport goes through phases of regeneration where the game changes greatly, or the rules shake everything up, or fresh blood replaces veteran talent. 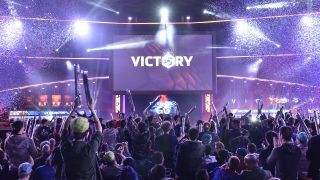 Heroes of the Storm is crawling out of its 'new kid on the block' status slowly but surely, and that means that Blizzard are changing things up for the new year of esports. While qualifications and such have been going on for a while now, it’s only in the past couple of weeks that the real meat of professional play has got going. Originally revealed back at Blizzcon last year, the Heroes Global Championship provides a full schedule every single week. With things only just starting, and some of the biggest matches still to come, now is one of the best times to get in on watching top level Heroes of the Storm. The schedule for North American and European play is locked in: from January to February, teams will play each other for a chance to compete in the Western Brawl in March alongside teams from Latin America as well as Australia and New Zealand. Following that it’s back to regular league play until the Mid-Season Brawl in June, when teams from all around the world will compete. Despite the season being a couple of weeks in, there’s some easy ways to catch up. JHow recaps each week’s events every Monday morning, while KendricSwissh collates some of the big moments each week. On top of regular pro play, Blizzard are doing a lot to promote new talent and rising teams. To help with that, they’ve set up the HGC Open Division: a fully open and public set of cups, with cash prizes, promoted by Blizzard and casted by some of the most popular streamers and faces in the scene. They’ve been alternating between North American and European cups each week, with North America starting their second cup tonight at 6pm PST. Teams in the Open Division aren’t just playing for each cup, though: they’re playing for a chance to join the HGC, play with the best, and maybe even make it to the grand finals in November. Just before the Mid-Season Brawl will be the HGC Crucible. The two bottom teams from each region in the HGC will play with their place in the professional scene at stake, and the two top-performing Open Division teams from each region will fight for a chance at claiming one of those spots for themselves. With a guaranteed income of $100,000 for teams that stick in the HGC from January to November, regardless of placement, that’s a lot of money to fight for, especially to some of the independent teams in the Open Division right now. Factor in the possibility of making it to the finals towards the end of 2017, and it’s a pretty sweet deal. Thanks to these stakes competition so far has been fierce, with a couple of teams putting up strong fights. In Europe, Team Zealot have been dominating, not losing a single game in the first cup with a team of experienced players. That said, Polska Pamięta managed to topple them 2-0 in the second cup, while newcomers Tossers came out on top overall. Tonight, UTA will be trying to nab themselves a second cup victory. They’re three fifths of the team that came second in Heroes of the Dorm last year, from University of Texas at Arlington, and will surely be using the Open Division as practice for when Heroes of the Dorm starts up in 2017. That said, LFM eSports gave UTA a challenge in the last cup. If the teams are put against each other this week, it may be a rather intense grudge match. What makes Heroes of the Storm competitive play interesting is the co-ordination involved. Unlike other wizard battle simulators, there’s little, if any, focus on carries—on one player or character that the rest of the team build themselves around. Instead, what differs the best from the rest is the level of teamwork they display. Recently, a new tactic has come into play. Medivh has one heroic ability called Ley Line Seal—he launches a projectile that locks enemies heroes hit in stasis for 3 seconds. Diablo has a heroic ability called Apocalypse—an area underneath each enemy hero is marked, and after 1.75 seconds, it explodes, damaging and stunning enemies caught in the area. Combine these two together and you’ve got a deadly combo. The challenge lies in landing a good Ley Line Seal and using Apocalypse correctly: Diablo must be on the ball. Activate Apocalypse too early, and it will explode while they’re still in stasis, doing nothing. Activate Apocalypse too late, and the enemy will run away. Team 8 tried to pull it off but always just fell short of getting it right despite the immense skill in each player on the team. There’s a few other examples of this, and as the list of favoured heroes constantly shifts and balance patches change things up, new combinations of abilities become popular. Tyrande’s Lunar Flare and Diablo’s Overpower. Zeratul’s Void Prison and Jaina’s Ring of Frost. You can’t be a phenomenal Heroes of the Storm team on player skill alone—teamwork is far too important. That means that, despite being full of new kids on the block, the Open Division is great to watch, because teams of friends have that synergy, they mesh together in a way some professional teams do not. When it all goes right, these teams can pull of phenomenal feats. It’s exactly why the European teams did so well at Blizzcon last year: while they were outclassed eventually, their skill as a team put them above so many other competitors. The second Open Division Cup will be starting tonight at 6pm PST. You can check out more details about it over on GosuGamers, and watch the livestream on Twitch.